AFTER Picture of the Kitchen Remodel, Benicia, CA. 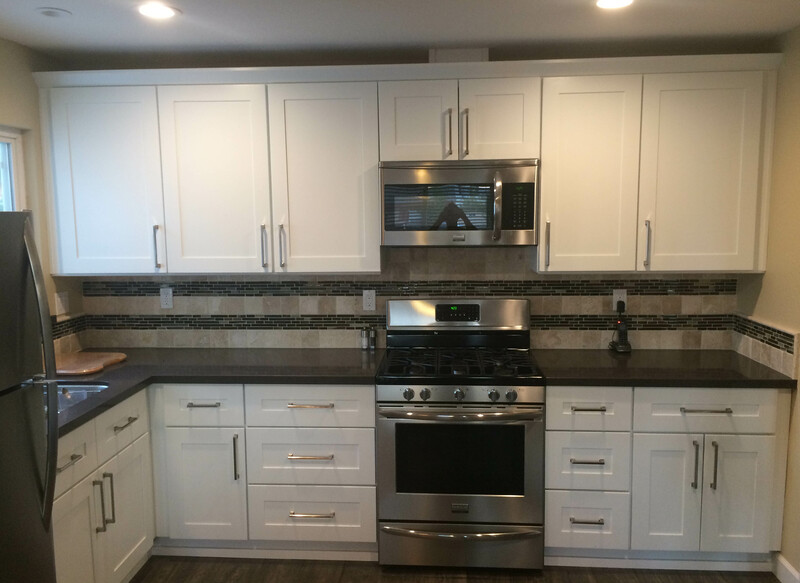 This is a small kitchen remodel encompasses a modern update with stainless steel appliances, white cabinets and beautiful cabinet hardware to compete the kitchen. Cooks Kitchen and Bath created a kitchen remodel design reflecting the customer’s needs and budget. They are a general contractor, specializing in residential remodeling focusing on exceptional customer service. Hercules stainless steel sink, Huntington faucet, Insinkerator disposal and accessories, Ideal cabinetry, Silestone Merope quartz countertops, Travertine and glass mosaic backsplash and Mannington flooring.